Pillows are an individual choice. You can have six people in one home and each person will have different needs with regard to their pillows. While pillows are not the cause of headaches, neck pain, shoulder and arm numbness, discomfort, and sneezing, they can make those issues worse. Pillows are also mine-fields of skin cells, mold, mildew, fungus, and dust mites. As they age, you will notice they will get heavier. The cargo load of gross things increases the longer you use the pillow. Side Sleepers: A side sleeper will need a firmer pillow to fill in the area between the outside part of his or her shoulder and his or her ear. Stomach Sleepers: Stomach sleepers pose the most challenge as they need back support. Get a quite thin, nearly flat pillow. If you are an experienced stomach sleeper and do not sleep any other way, you may not even need a pillow for your head, however, you should use one under your stomach for back support. Next on the list of things to consider is the material used in the pillow. This will affect sleep for a multitude of reasons. There are many options, so choose which best suits your sleep style needs. Foam pillows: Density will control the amount of support you get as without it the pillow will begin to break down and become too soft very quickly. The denser the pillow, the more support. Memory Foam pillows: Memory Foam pillows reduce pressure on parts of the body because they are molding and adjusting to the shape of your body continually, as you sleep. Keep in mind it is made from foam and foam is not an ideal smell for all people. 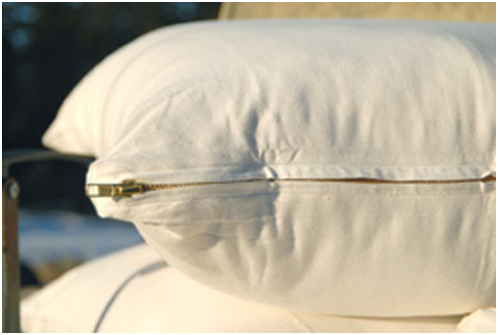 Latex pillows: Latex pillows are the best line of defense for mold, dust mites, and sweat. It is also the firmest of all the pillow choices. Latex pillows align with the neck and back and provide good support. 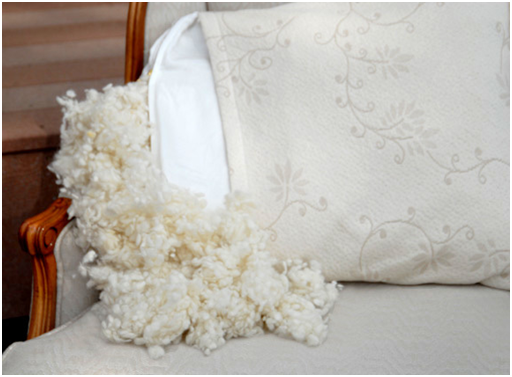 Wool pillows: Wool pillows are great for keeping the dust mites and mold away. They are the new popular pillow because they are hypoallergenic, washable,are eco-friendly, and are a renewable source. These are firm pillows, so they are not for the soft pillow sleeper. Cotton pillows: Cotton pillows are hypoallergenic, washable, and they do resist mold and dust mites, the same as wool pillows. For those not loving the feel of wool, (albeit a very soft fabric,) cotton is the way to go. These tend to be for the firm pillow lover. 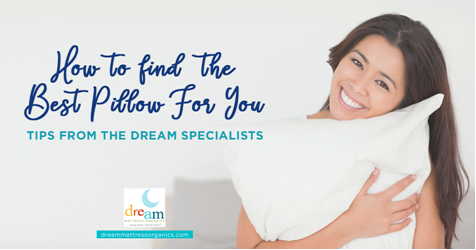 Down & Feather pillows: Down and Feather are considered the kings of pillows. Experts and luxury manufacturers claim this is the best pillow for a good night's sleep. 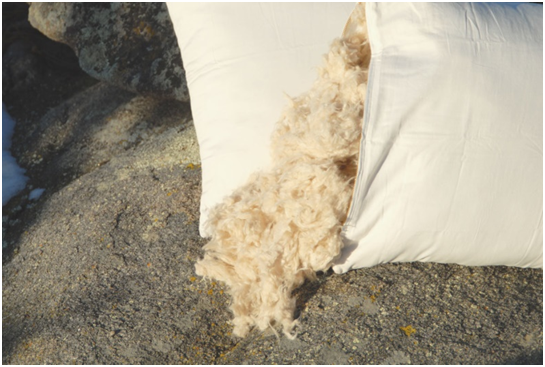 As the stuffing is movable, you can make a Down or Feather pillow in any shape you like, making it ideal for a dynamic sleeper. These are the softest pillows. They can, if contoured to the right shape, be made firmer. You can also try down alternatives that feel just as luxurious without the allergens! Pillows can have personality traits. There are specialty pillows, putting this selection in its own class for making the choice even more select. These pillows offer fabulous body support and tremendous benefit to a good night's sleep. Cooling pillows: Cooling pillows are helpful with hot flashes and night sweats. They are filled with tiny beads that absorb and wick away heat. Snore-reducing pillows: Snore-reducing pillows can help with snoring. There are many factors which can go into the elimination of snoring. A pillow is a source of benefit, providing support where necessary and holding the head and neck in position for a more restful, silent sleep. Position pillows: A position pillows is made to target certain areas of the body. These areas are back, stomach and side specific. Choose your sleep position first, then chose for body length. Cost is always a factor when getting a pillow. A pricey pillow does not mean it is a good pillow. Do your research, check out online reviews, or try a pillow in person before making a decision. A good pillow, made for your sleep style, can make all the difference between a recharging rest and a restless one. Pick a pillow that’s right for you and start catching some zzzzzzzz’s.